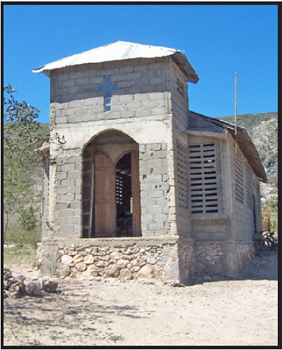 Saint Raphael is located about 38 miles from Cap-Haitien, on one of the higher, drier plateaus in the area. The congregation operates a school. The property at Saint Raphael is almost 4 acres in size, very dry and rocky land. There is a good well that has been drilled nearby, as well as a community well that is well cared for and secure. The church building at Saint Raphael is block with a metal roof and has a partial concrete floor. The school meets in the same room as the church. This congregation is being served by Pastor Lucson Joseph. The pastor is married and has three daughters. In 2005, a terrible hurricane washed out a bridge, isolating Saint Raphael from food and aid for many months. The community was starving. When the waters receded, a contingent traveled from Saint Raphael to Cap-Haitien three times to see Pastor Eliona Bernard about becoming Lutherans. A relationship was developed, and under the direction of Pastor Bernard, a Vicar was sent to minister to this group and shepherd them during their transition to Lutheranism and the starting of their school. A goat project has been developed in the Saint Raphael congregation, for which LMA purchased 18 goats. 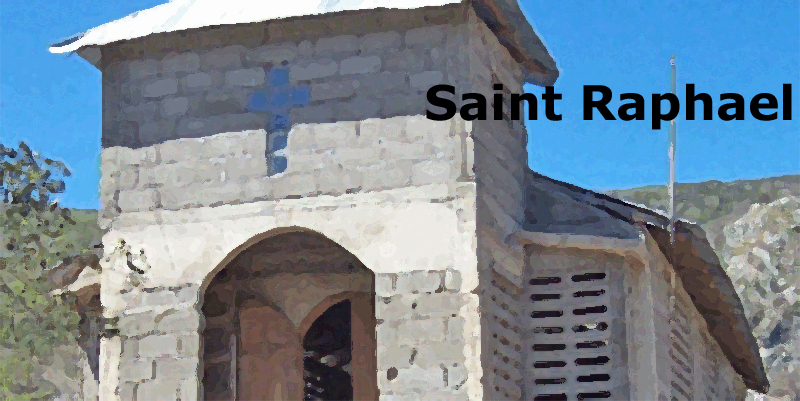 What can you do to help Saint Raphael?